Rediff.com » Business » Is the Nifty heading for a crash? Nifty 10,025 will be the last level of reliable support for the bull market. It is too early to judge if the fall in Nifty from an all-time high of 11,170 to the February 12 closing of 10,539 is a big trend reversal or merely a short-term correction, says Devangshu Datta. Trading through last week has been extremely volatile with daily swings and nervous bursts of selling. This, in fact, has been the global pattern and India has done better than other major markets, even though the indices lost ground. It is too early to judge if this is a big trend reversal or merely a short-term correction. The Nifty has lost nearly 5 per cent in this settlement and it has lost over 5 per cent from the all-time high of 11,170 which was recorded in late January. Of the three segments of players -- Domestic Institutions (DIs), retail investors and Foreign Portfolio Investors (FPIs) -- only DIs have been net buyers since the Budget. Option premiums have spiked up and the VIX is high, indicating the prospect of more volatility and a bearish signal. The long-term trend should still be counted as bullish, but the intermediate trend looks negative. The 200 Day Moving Average is at around 10,025 to 10,050, which would be the last level of reliable support for the bull market. The market had broke down from the high of 11,170. The Nifty next tested support at 10,585 to 10,600 from where it bounced on February 5. Then it fell to a intra-day low of 10,276 on February 6, and the subsequent partial recovery has not pulled it above 10,600 yet. The short-term trend is hard to read. Trend suggest selling the Nifty with a stop at 10,700. Until the Budget, domestic institutions, FPIs and retail investors, had all been strongly bullish. This resulted in a broad uptrend across sectors, and stocks of all types of market cap. Corporate earnings in Q3 have been decent so far. The downtrend has been equally broad though smaller stocks have got hit harder due to lack of institutional support. Traders must brace for currency volatility. Worries about higher oil and metals prices continue. The dollar has surged since the Budget session -- this is also a function of higher US treasury yields. The yen and euro might also strengthen, given that the RBI maintained the status quo in its policy review last week. The previous uptrend started, several months ago in September 2017, from support at 9,675 to 9,700. In the longer term, the Nifty moved north in December 2016, from 7,900 to a high of 10,550, hitting that level twice in December 2017, before correcting down and then moving to the current high of 11,170. The index has bounced twice from 9,675, since December 2016. If the 200 DMA breaks, the 9,675 to 9,700 region would be the next support. The Nifty Bank has also crashed. The 'Bank' is currently at 25,700-levels after hitting a high of 27,650 and a post-Budget low of 25,025. A strangle of long February 22, 26,900c (47), long February 22, 24,500p (84) costs 131, with breakevens at roughly 24,365, 27,035. This position is near zero-delta, but the put premium is much higher. This could be hit in three or four trending sessions. If this is taken and the February 15, short 24,500p (12) and February 15, short 26,900c (5) is sold, the calendar spreads costs a net 114. This long-short position could give a big payoff if the financial index stays volatile till end-settlement. The Nifty closed at 10,539 on February 12. A bullspread of long February 10,700c (52), short 10,800c (28) costs 24, pays a maximum 76. This is 160 points from money. 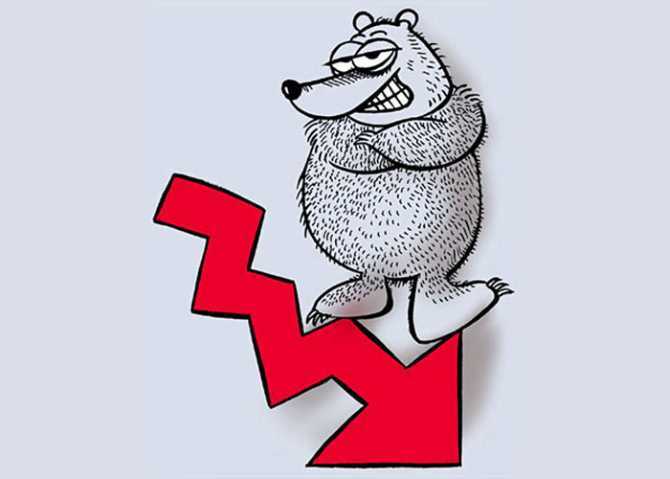 A bearspread of long February 10,400p (74), short 10,300p (52) costs 22, pays a maximum of 78 and is 140 points from money. The bearspread has a better risk:reward ratio. A long-short strangle set can be created, by taking these four positions. The resulting position costs 46, pays a maximum of 54 and has breakevens at 10,354, 10,746.